These days, Boutique Hotels are all the rage. DJ’s set up shop next to the pool while hipsters sip on creative cocktails and tall boys of Pabst Blue Ribbon. Boutique Hotels cater to a smaller amount of guests which makes their attention to detail very unique but that is where it usually ends. There is no denial that every person deserves to dive into the lap of luxury and that is exactly what we did this weekend by taking a staycation at the Westin in Long Beach. We have stayed at Westin hotels throughout the country, having a great experience every time and this was time was no exception. Long Beach is only a half-hour down the road from where we live – and that is taking the scenic route – but it feels like a new part of the country. Long Beach doesn’t fit the mold of most beach cities along the coast – There is not a true coastline and a huge Convention Center attracts more visitors than your average surf town. The Pike and Shoreline Village are the two areas where this particular part of Long Beach ‘come alive’. The Westin acts as the ‘beating heart’ and a stay there means you are in walking distance of great food, bars and world-class entertainment. 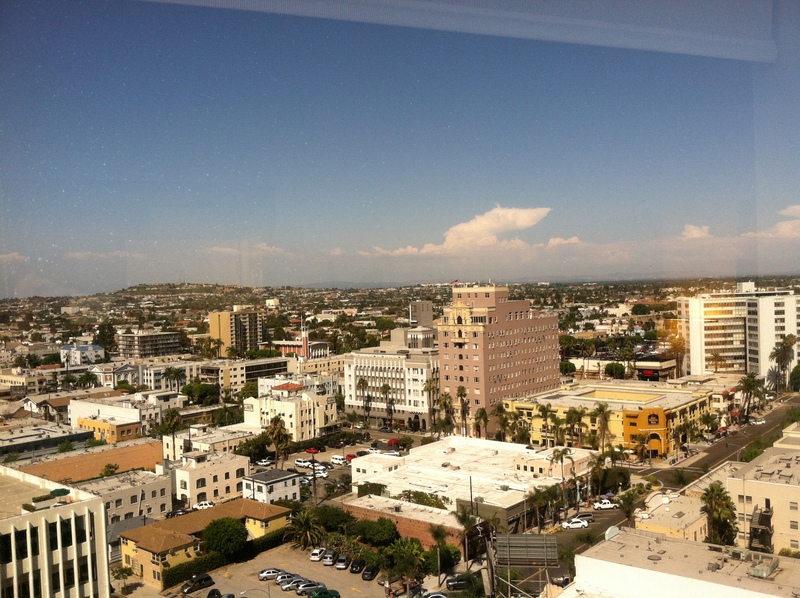 Our check-in to the Westin was quick, painless and suddenly became rewarding after the desk clerk told us we would be staying on the top floor which gave us sweeping views of Long Beach and beyond. We had a few hours to kill before we needed to leave and walk down to Rainbow Lagoon Park where this years Long Beach Grand Cru Wine Festival was taking place. We had enough time to spare before leaving for the event so a quick stop at the Lobby Bar was a must especially since happy hour just began. The food on the happy hour menu looked and smelled just as good as the prices. Starving, but knowing we were about to eat a huge meal in an hour meant having to endure the trays of food passing us minute by minute. It seemed like the table beside us ordered half the happy hour menu – one of those items being the parmesan fries which sent a gasping odor of deliciousness our way. I tried to focus my attention on the surprisingly good beer they had on draft with options like Stone, Victory and Oscar Blues. We made it through unscathed but our stomachs would tell us otherwise. After a great night on the town and a pleasant stay in a bed that begs you to hit the snooze button a few more times, we headed down to the lobby restaurant ‘The Grill’ for breakfast. Executive Chef Octavio Sabado rolled out a new menu a few months back and each item sounded as promising as the next. Huevos Rancheros caught my eye immediately and being it was a suggestion from The Manager, Goran, made my decision even that much easier. 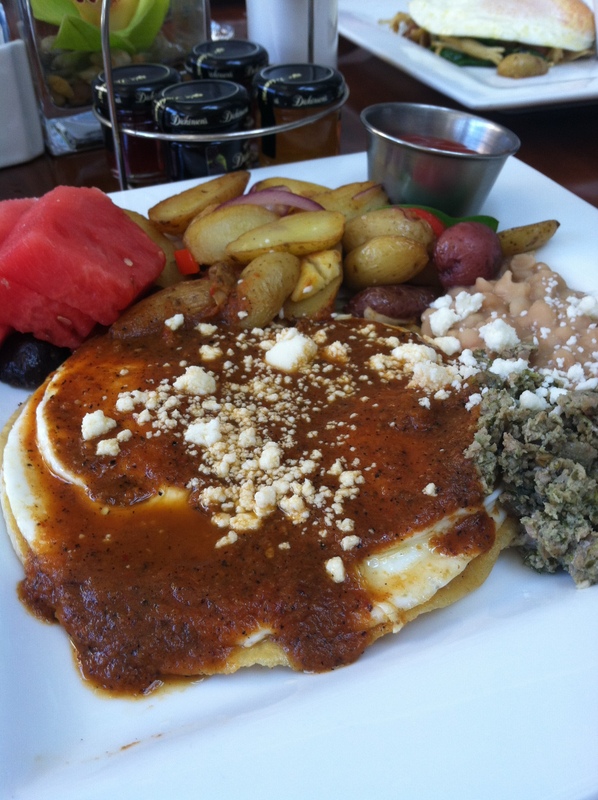 The dish had a great smoked salsa, Yucatan sausage and Queso Fresco poured over corn tortillas. 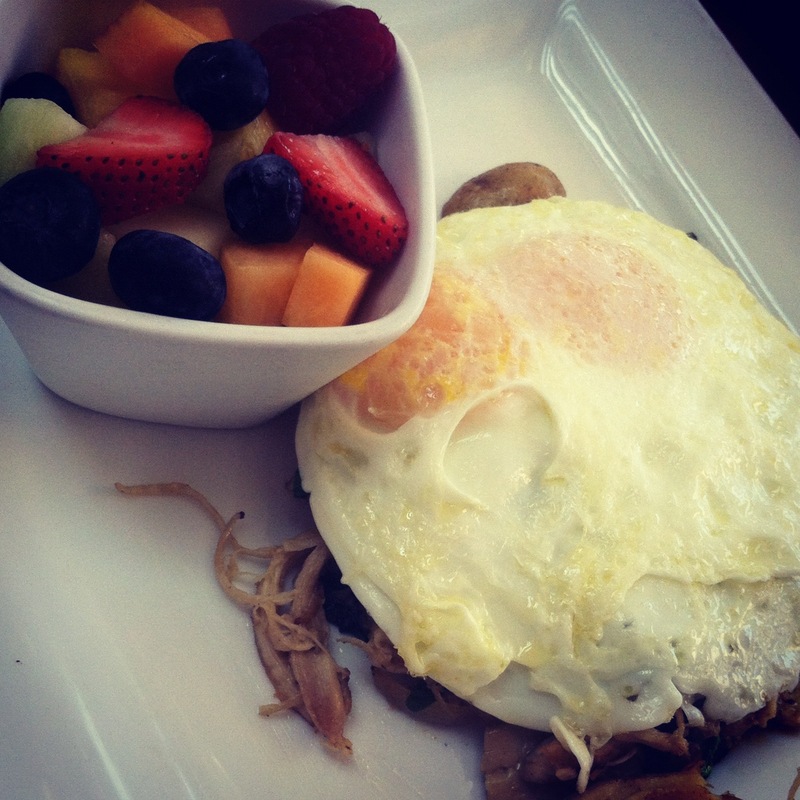 We also ordered Chicken Confit Hash with cage free eggs, baby spinach and caramelized onions. Each item ranges from around $10-15 but well worth it and when it’s accompanied by endless cups of Starbucks coffee, that’s enough for me. 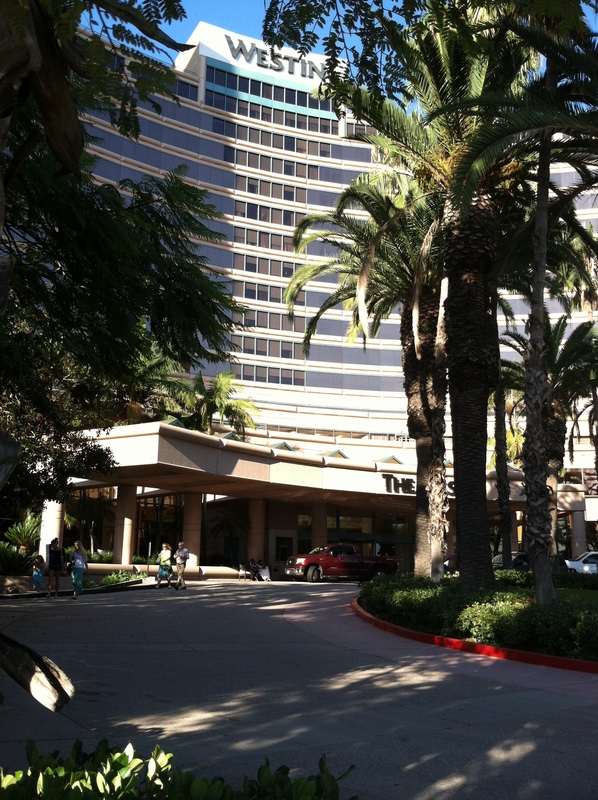 Our stay at the Westin was pleasant, relaxing and definitely needed. It was a trip I will remember and a staycation we would definitely take again. 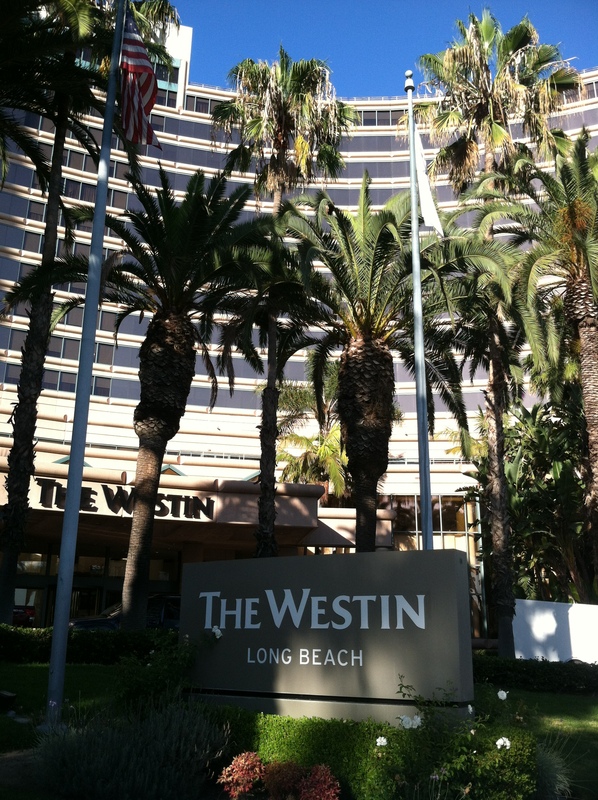 Book your staycation at The Westin in Long Beach now! Isn’t the Westin awesome? Although I had never stayed in one, before, I stumbled into it through Hotwire (which is also awesome). 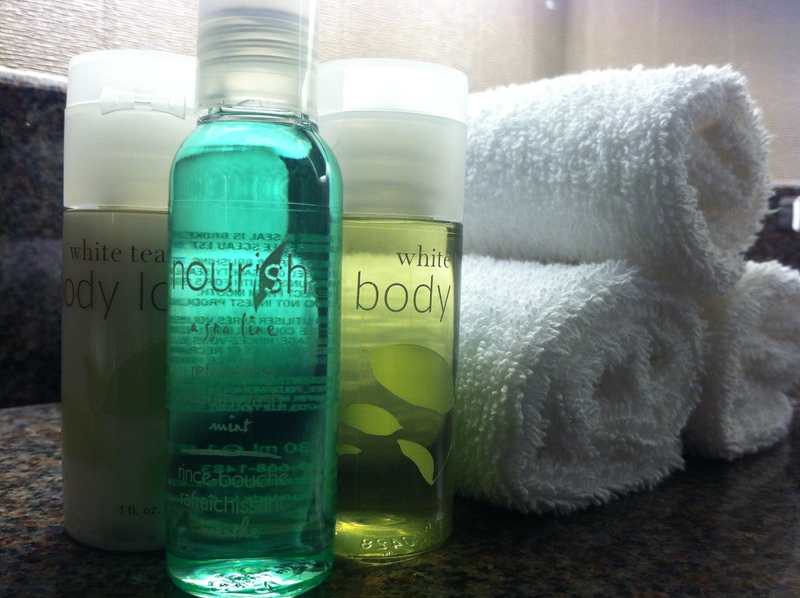 The hotel staff made me feel like visiting royalty and…ooohh, those Egyptian cotton sheets! Yes, we had an amazing time. We definitely recommend it to anyone. Thanks for the pingback, also, Matt.